Clarify Your Goals - Like most real estate purchases, it’s critically important to understand what you want to do with your lake, pond or river property and why you want to do it. What are your specific goals for owning a waterfront property? Do you want a waterfront house on a big lake for motorboat use, jet skis and fishing, or do you prefer a smaller, private where you have control over shoreline development and seclusion? Take some time and figure out what’s really important to you, and then write it down and share it with your broker. Also think about location. How far from home are you willing to travel? What time of year will you be most likely to use the property? How close to other amenities, like skiing, restaurants and town services, do you want to be? Budget – Identify your budget and not just the acquisition cost of the property. Also calculate the cost of improving the property to meet your goals. If your objective is to build a weekend cottage, fish camp or lake home, work with a trusted team of professionals who can help you understand construction, access, and infrastructure costs on a short list of properties. Sometimes, a great lake property may be listed at a slightly higher price than your acquisition budget, but it cost you less if things like roads and utilities are already in place or close by. It is also important to consider the cost of owning the property year by year. What are the property taxes, association fees, utilities, maintenance and other annual costs of ownership? Exclusivity - Privacy is often cited as the paramount reason for buying large acreage waterfront properties. Verify development history, tax parcel layout, future development considerations, and neighboring ownerships. Shoreline – Conduct due diligence to verify the amount, type and accessibility of the shoreline. Consider potential building sites, views, aspect and neighboring ownerships. No two shorelines are created equal, and each lake property will have its specific considerations. Allowable Uses & Zoning – Verify setbacks, vegetative cutting requirements, buffers, boating restrictions, subdivision potential and conservation easement restrictions. If you’re in the Adirondack Park, work with a real estate professional and an attorney who understand APA regulations. A good place to start is this citizens guide. Other northeast states have their own particular regulations. Make sure the real estate professional you choose is well-versed in these regulations so you can get the answers you need. Depth, Water Quality, Fish Species – Does this particular lake, pond or river meet your ownership objectives in terms of the fishing opportunity, the swimming experience and boating accessibility? 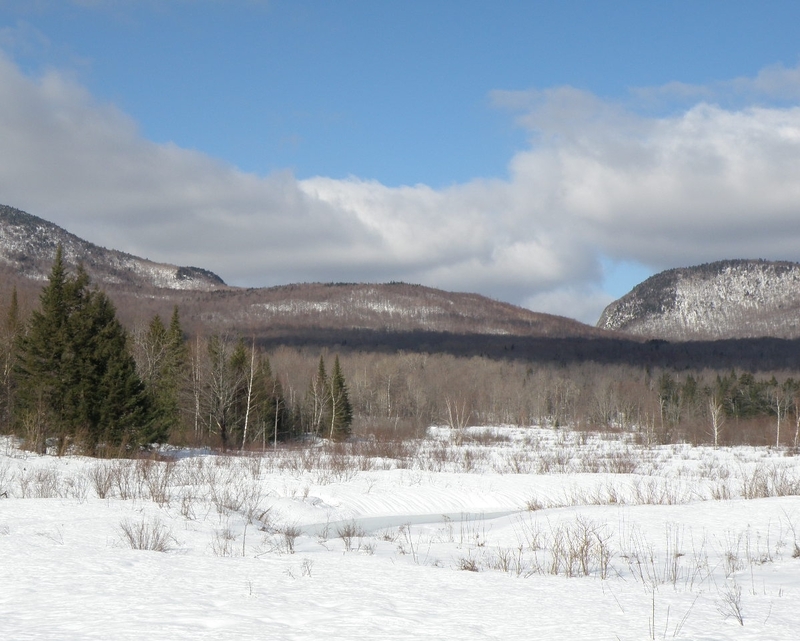 Adirondack Survey Corporation has a wealth of information on numerous waterbodies within the Park at their website. Public Access – Verify whether or not there is public access to the lake or pond. Also research if there is public land adjacent to the property, which can be a great opportunity for expanding non-water recreational activities like hunting, hiking, or birdwatching. Having recreational access to hundreds of additional acres of adjacent public land is a big bonus and they provides a natural buffer of open space around your property. Forest Resources – On large acreage waterfront properties, the timber resource can be an extremely valuable long-term asset. It will not only appreciate in value over time, but it can also offer periodic income from carefully planned harvesting. Harvest income can be used for property improvements or property taxes. Harvests can also improve the resale value of your property by adding roads, trails, clearings and improving habitat and water quality. Work with a professional forester to analyze these opportunities and set up a property management plan that meets your objectives. So where do you start your search? Most folks turn to the internet and we can’t miss the opportunity to direct you to our website where we have available waterfront properties from Maine to New York. We also offer direct investment acquisition services and waterfront property buyer representation. Let us know how we can help and you could be watching the sunset from your own waterfront property before Labor Day.